Foreclosure is the process through which a lender takes ownership or possession of your home and sells it in order to earn back all or most of the money it loaned you. Your mortgage lender, which is usually a bank, can foreclose on you after you miss your mortgage payments. This process will not happen if you pay late one month. Instead, it usually happens after you have missed multiple monthly payments. When your mortgage becomes 30 days overdue, your lender will likely try and contact you to collect your missed payments. You may receive a phone call or letter regarding this issue. You should not ignore your lender when you receive calls or letters. Instead, this is the time to ask your lender about mortgage relief options, such as refinancing. A lender wants its money, which means there is a period of time in which it is willing to work on this issue with you and enable you to make up your late payments. In Florida, you have 120 days to become current on your loan before your lender begins the judicial foreclosure process. The best thing for you to do once you know you have missed a mortgage payment and may get further behind is to call a foreclosure defense attorney. An experienced lawyer can help you work directly with your lender to avoid foreclosure, which can damage your credit rating. Before your lender can file a foreclosure action in court, it must send you a letter detailing your breach of contract. This formal letter states that you are in default on your loan and offers you an opportunity to cure the default by paying the entire balance of the mortgage or becoming current within 30 days. 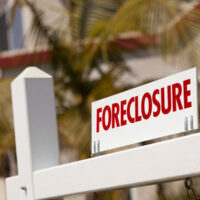 If you have not called a foreclosure defense attorney, now is the time to do so. After months of contacting you for payment and 30 days after the breach letter, the lender will finally file for foreclosure in the court system. The lender is required to serve you with a copy of the complaint and summons to appear in court. Once you receive notice, you have 20 days to file an answer in court. If you do not respond to the court, your lender can gain a default judgment over you. It is absolutely essential that when you receive legal documents regarding the foreclosure you do not ignore them. If you are unsure of how to respond, hire an attorney to represent you. A lawyer will ensure you do not miss any important deadlines that could take away your rights during a foreclosure. A foreclosure is a type of lawsuit, which means it will go through a discovery period in which both sides can gather and request information from one another. During this time, you should expect the lender to ask for a summary judgement against you. This is a request for the court to make a decision in the lender’s favor without going through an entire trial. It may or may not be granted depending on the issues at hand. If summary judgement is denied, your case may go to trial. If a foreclosure judgment is entered against you in court due to summary judgment or a trial, then the next step is for you to be evicted from the premises and for the house to be put up for sale. A sale date is usually set within 35 days of the judgment date. If the home does not sell for what is owed, the lender can obtain a deficiency judgment against you and you will still owe the difference. Many individuals going through foreclosure avoid a long court process by working with the bank to perform a short sale or deed in lieu of foreclosure. Both of these options can help you avoid a judicial foreclosure on your credit report. To learn more about defending against foreclosure or avoiding a foreclosure judgment against you, contact the Law Offices of Larry E. Bray, P.A. in West Palm Beach for help.